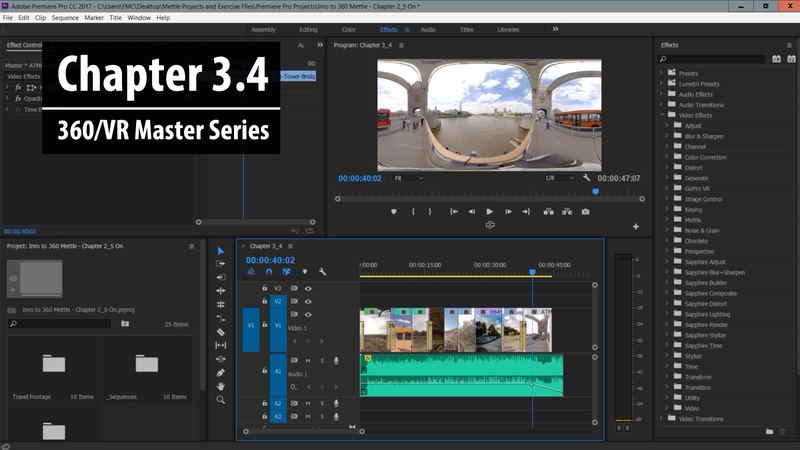 MONTREAL, Canada (September 14, 2017) – Mettle (www.mettle.com) today announced it is unveiling an entirely new set of cinematic 360/VR filmmaking tools for Adobe® Premiere Pro® and After Effects® artists with the launch of Mantra VR. Mantra VR is a collection of visual effects designed specifically for adding highly stylized treatments in real time to 360 video. 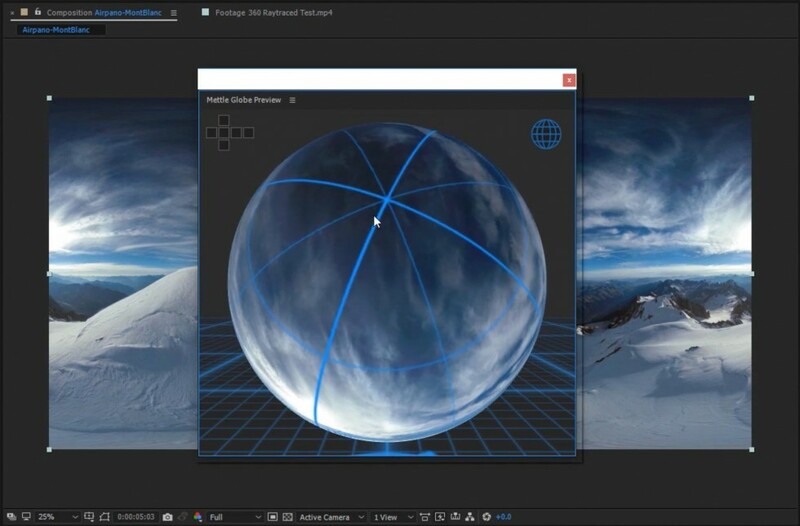 It introduces a Globe Preview panel, a new way to preview 360°, as well as a Node Panel. 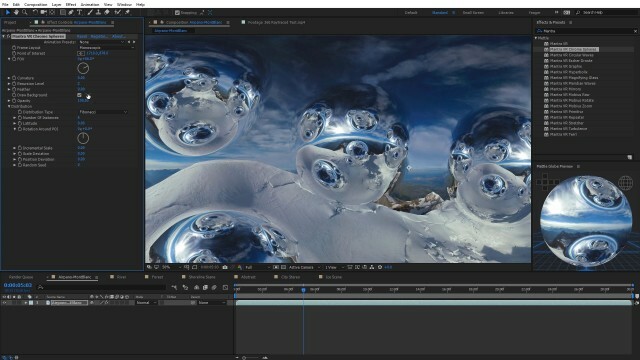 Renowned in the 360/VR filmmaking and post production community for its SkyBox Suite of cinematic 360/VR post production and editing tools, which were acquired by Adobe (Read More), Mettle is now at the forefront of visual effects design for 360 video with Mantra VR, and has taken the industry’s first steps toward enabling 360/VR filmmakers to take their creations to new levels of creativity and storytelling. Mantra VR is a collection of 16 cinematic 360/VR visual effects treatments that enable Adobe Premiere Pro and After Effects artists to add highly stylized effects to their 360/VR videos. Mettle introduces a “Globe Preview” panel, which displays the 360° composition wrapped around a sphere. Also includes a “Node Panel”, which lets users quickly stack effects, and the scripts are automatically written. Chrome Spheres, Circular Waves, Escher Droste, Mirrors, Graphix, Hyperbolix, Magnifying Glass, Meridian Waves, Mobius Raw, Mobius Rotate, Mobius Transform, Primitivz, Repeater, Stretcher, Turbulence, Twirl. 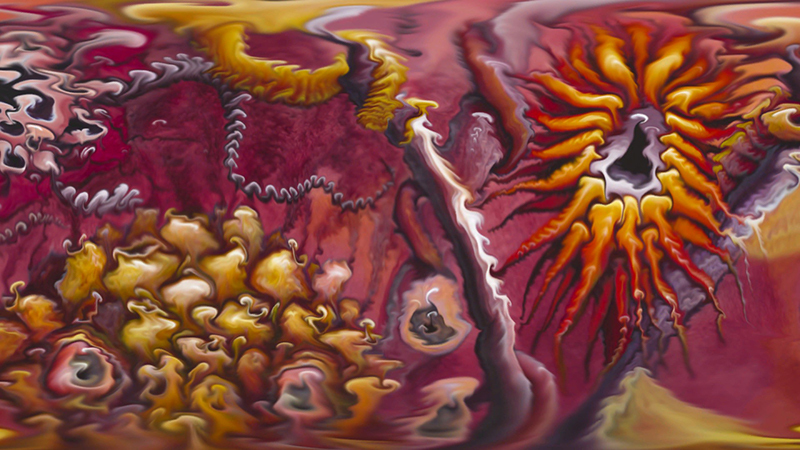 Based on complex Fibonacci, Mobius mathematical calculations, Hyperbolics and primitives, Mantra VR’s powerful algorithms enable real-time visual effects treatments, seamlessly stitched and fluent to allow artists to create dream-like, hyper-realistic experiences for their audience – all in the 360 space. Each filter has multiple controls for adjusting focal point, fluency and speed. The effects have audioreactive controls, and work with Monoscopic and Stereocopic footage. We introduce advanced distribution systems, multipliers and a node based UX that greatly simplifies the creation of sophisticated motion graphics and “abstractions from reality”. 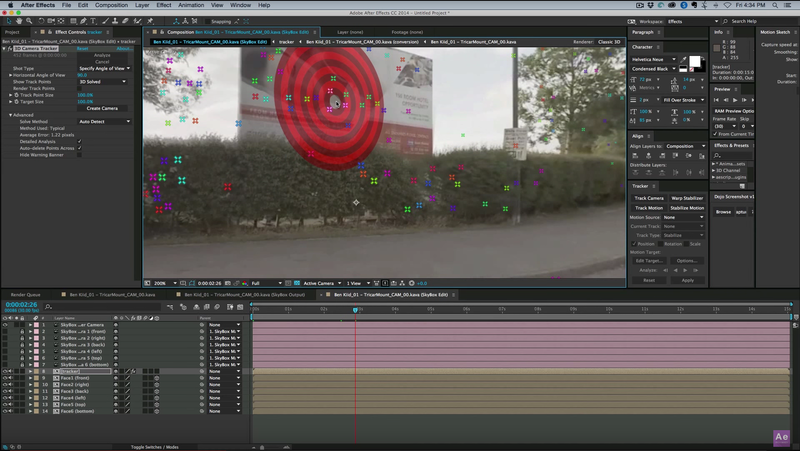 There is a Global Sphere preview window that facilitates the preview of complex effects. 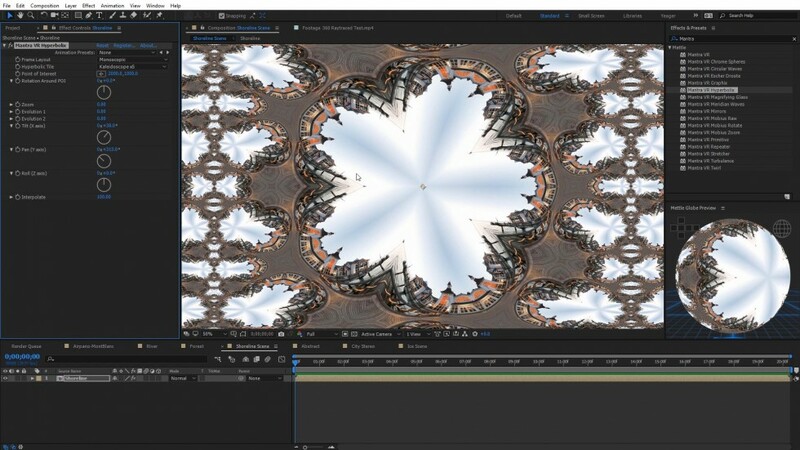 Mettle Mantra VR effectively extends and complements Mettle’s Skybox Suite, which is an entire collection of cinematic 360/VR post production tools for Adobe After Effects and Premiere Pro artists. 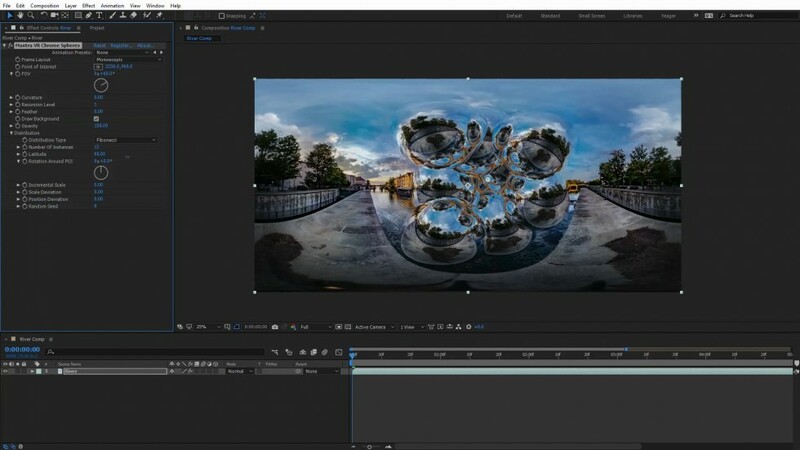 Adobe acquired the SkyBox Suite June 21, 2017, and will be integrating them into After Effects and Premiere Pro. They are no longer available through Mettle, but current Adobe Creative Cloud Paid Subscribers Can Get Access to the plugins for free. Find out more. Mantra VR is available September 14, 2017, for $229 USD. For a collection of visually stunning 360 videos created by Mettle customers, and for more info, please visit http://www.mettle.com/mantra/. Mettle is a team of filmmakers, artists and engineers with an unwavering passion and clear vision for the future of 360/VR filmmaking. We are dedicated to making software tools that help our customers experience the possibilities of 360VR storytelling. We know that technology can often be the barrier between your dream and its realization. We also know that without amazing content to experience, there is no future for this amazing new frontier. That’s why we designed Skybox 360/VR plugins and Mantra VR. To learn more, and to experience what it means to be “Made with Mettle,” please visit www.mettle.com.